Capitalism is an economic system in which trade, industry, and the means of production are privately owned and operated via profit and loss calculation (price signals) through the price system. Central characteristics of capitalism include private property, capital accumulation, wage labour and, in some situations, fully competitive markets. In a capitalist economy, the parties to a transaction typically determine the prices at which they exchange assets, goods, and services. The degree of competition, the role of intervention and regulation, and the scope of state ownership vary across different . Economists, political economists, and historians have adopted different perspectives in their analyses of capitalism and have recognized various forms of it in practice. These include laissez-faire or free market capitalism, welfare capitalism, crony capitalism, corporatism, "third way" social democracy and state capitalism. Each model has employed varying degrees of dependency on free markets, public ownership, obstacles to free competition, and inclusion of state-sanctioned social policies. The extent to which different markets are free, as well as the rules defining private property, become matters of politics and of policy. Many states have a mixed economy, which combines elements of both capitalism and centrally planned economics. Capitalism has existed under many forms of government, in many different times, places, and cultures. Following the decline of mercantilism, mixed capitalist systems became dominant in the Western world and continue to spread. The term capitalist, meaning an owner of capital, appears earlier than the term capitalism. It dates back to the mid-17th century. Capitalist is derived from capital, which evolved from capitale, a late Latin word based on caput, meaning "head" — also the origin of chattel and cattle in the sense of movable property (only much later to refer only to livestock). Capitale emerged in the 12th to 13th centuries in the sense of referring to funds, stock of merchandise, sum of money, or money carrying interest. By 1283 it was used in the sense of the capital assets of a trading firm. It was frequently interchanged with a number of other words — wealth, money, funds, goods, assets, property, and so on. The Hollandische Mercurius uses capitalists in 1633 and 1654 to refer to owners of capital. In French, Étienne Clavier referred to capitalistes in 1788, six years before its first recorded English usage by Arthur Young in his work Travels in France (1792). David Ricardo, in his Principles of Political Economy and Taxation (1817), referred to "the capitalist" many times. Samuel Taylor Coleridge, an English poet, used capitalist in his work Table Talk (1823). Pierre-Joseph Proudhon used the term capitalist in his first work, What is Property? (1840) to refer to the owners of capital. Benjamin Disraeli used the term capitalist in his 1845 work Sybil. The initial usage of the term capitalism in its modern sense has been attributed to Louis Blanc in 1850 ("..what i call 'capitalism' that is to say the appropriation of capital by some to the exclusion of others.") and Pierre-Joseph Proudhon in 1861 ("Economic and social regime in which capital, the source of income, does not generally belong to those who make it work through their labour."). Karl Marx and Friedrich Engels referred to the capitalistic system. and to the capitalist mode of production in Das Kapital (1867). The use of the word "capitalism" in reference to an economic system appears twice in Volume I of Das Kapital, p. 124 (German edition), and in Theories of Surplus Value, tome II, p. 493 (German edition). Marx did not extensively use the form capitalism, but instead those of capitalist and capitalist mode of production, which appear more than 2600 times in the trilogy Das Kapital. According to the Oxford English Dictionary (OED), the term capitalism first appeared in English in 1854 in the novel The Newcomes, by novelist William Makepeace Thackeray, where he meant "having ownership of capital". Also according to the OED, Carl Adolph Douai, a German-American socialist and abolitionist, used the term private capitalism in 1863. 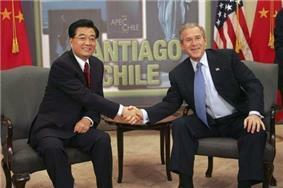 Many analysts assert that autocratic China is one of the main examples of state capitalism in the 21st century. States with capitalistic economic systems have thrived under authoritarian or oppressive political regimes. Singapore has an open market economy and attracts a great deal of foreign investment, but does not protect civil liberties such as freedom of speech and expression. The private (capitalist) sector in the People's Republic of China has grown exponentially and thrived since its inception, despite having an authoritarian government. Augusto Pinochet's rule in Chile led to economic growth and high levels of inequality by using authoritarian means to create a safe environment for investment and capitalism. In Capital in the Twenty-First Century, Thomas Piketty of the Paris School of Economics asserts that inequality is the inevitable consequence of economic growth in a capitalist economy and the resulting concentration of wealth can destabilize democratic societies and undermine the ideals of social justice upon which they are built. Marxists, anarchists (except for anarcho-capitalists), and other leftists argue that capitalism is incompatible with democracy since capitalism according to Marx entails "dictatorship of the bourgeoisie" (owners of the means of production) while democracy entails rule by the people. 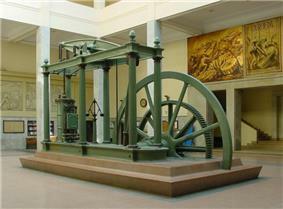 Capital has existed incipiently on a small scale for centuries, in the form of merchant, renting and lending activities, and occasionally also as small-scale industry with some wage labour (Marx was also well aware that wage labour existed for centuries on a modest scale before the advent of capitalist industry). Simple commodity exchange, and consequently simple commodity production, which form the initial basis for the growth of capital from trade, have a very long history. The "capitalistic era" according to Marx dates from the 16th century, i.e. it began with merchant capitalism and relatively small urban workshops. Early Islam promulgated capitalist economic policies, which migrated to Europe through trade partners from cities such as Venice. For the capitalist mode of production to emerge as a distinctive mode of production dominating the whole production process of society, many different social, economic, cultural, technical and legal-political conditions had to come together. For most of human history, these did not come together. Capital existed, commercial trade existed, but it did not lead to industrialisation and large-scale capitalist industry. That required a whole series of new conditions, namely specific technologies of mass production, the ability to independently and privately own and trade in means of production, a class of workers willing to sell their labour power for a living, a legal framework promoting commerce, a physical infrastructure making the circulation of goods on a large scale possible, security for private accumulation, and so on. In many Third World countries, many of these conditions do not exist even today, even although there is plenty of capital and labour available; the obstacles for the development of capitalist markets are less a technical matter and more a social, cultural and political problem. Capitalism in its modern form can be traced to the emergence of agrarian capitalism and mercantilism in the Renaissance. The economic doctrine that held sway between the sixteenth and eighteenth centuries is commonly described as mercantilism. This period, the Age of Discovery, was associated with the geographic exploration of foreign lands by merchant traders, especially from England and the Low Countries. Mercantilism was a system of trade for profit, although commodities were still largely produced by non-capitalist production methods. Most scholars consider the era of merchant capitalism and mercantilism as the origin of modern capitalism, although Karl Polanyi argued that the hallmark of capitalism is the establishment of generalized markets for what he referred to as the "fictitious commodities": land, labor, and money. Accordingly, he argued that "not until 1834 was a competitive labor market established in England, hence industrial capitalism as a social system cannot be said to have existed before that date." Capitalism was carried across the world by broader processes of globalization such as imperialism and, by the end of the nineteenth century, became the dominant global economic system, in turn intensifying processes of economic and other globalization. Later, in the 20th century, capitalism overcame a challenge by centrally-planned economies and is now the encompassing system worldwide, with the mixed economy being its dominant form in the industrialized Western world. Industrialization allowed cheap production of household items using economies of scale, while rapid population growth created sustained demand for commodities. 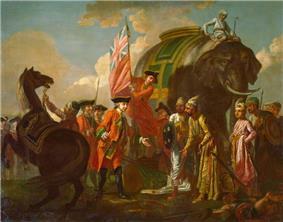 Globalization in this period was decisively shaped by nineteenth-century imperialism. After the First and Second Opium Wars and the completion of British conquest of India, vast populations of these regions became ready consumers of European exports. It was in this period that areas of sub-Saharan Africa and the Pacific islands were incorporated into the world system. Meanwhile, the conquest of new parts of the globe, notably sub-Saharan Africa, by Europeans yielded valuable natural resources such as rubber, diamonds and coal and helped fuel trade and investment between the European imperial powers, their colonies, and the United States. Capitalism is "production for exchange" driven by the desire for personal accumulation of money receipts in such exchanges, mediated by free markets. The markets themselves are driven by the needs and wants of consumers and those of society as a whole. If these wants and needs were (in the socialist or communist society envisioned by Marx, Engels and others) the driving force, it would be "production for use". Contemporary mainstream economics, particularly that associated with the right wing politics, holds that an "invisible hand", through little more than the freedom of the market, is able to match social production to these needs and desires. Private ownership of the means of production: Ownership of the means of production by a class of capital owners, either individually, collectively (see: Corporation) or through a state that serves the interests of the capitalist class. The profit motive is a theory in capitalism which posits that the ultimate goal of a business is to make money. Stated differently, the reason for a business’s existence is to turn a profit. The profit motive functions on the rational choice theory, or the theory that individuals tend to pursue what is in their own best interests. Accordingly, businesses seek to benefit themselves and/or their shareholders by maximising profits. In capitalist theoretics, the profit motive is said to ensure that resources are being allocated efficiently. For instance, Austrian economist Henry Hazlitt explains, “If there is no profit in making an article, it is a sign that the labor and capital devoted to its production are misdirected: the value of the resources that must be used up in making the article is greater than the value of the article itself." In other words, profits let companies know whether an item is worth producing. Theoretically in free and competitive markets, maximising profits ensures that resources are not wasted. In capitalist economics, market competition is the rivalry among sellers trying to achieve such goals as increasing profits, market share, and sales volume by varying the elements of the marketing mix: price, product, distribution, and promotion. Merriam-Webster defines competition in business as "the effort of two or more parties acting independently to secure the business of a third party by offering the most favourable terms." 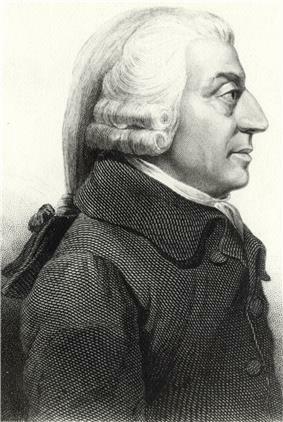 It was described by Adam Smith in The Wealth of Nations (1776) and later economists as allocating productive resources to their most highly valued uses and encouraging efficiency. Smith and other classical economists before Cournot were referring to price and non-price rivalry among producers to sell their goods on best terms by bidding of buyers, not necessarily to a large number of sellers nor to a market in final equilibrium. Competition is widespread throughout the market process. It is a condition where "buyers tend to compete with other buyers, and sellers tend to compete with other sellers." In offering goods for exchange, buyers competitively bid to purchase specific quantities of specific goods which are available, or might be available if sellers were to choose to offer such goods. Similarly, sellers bid against other sellers in offering goods on the market, competing for the attention and exchange resources of buyers. Competition results from scarcity—there is never enough to satisfy all conceivable human wants—and occurs "when people strive to meet the criteria that are being used to determine who gets what." In recent years, there has been growing research on the concept of "the precariat," to describe a growing reliance on temporary, part-time workers with precarious status, who share aspects of the proletariat and the reserve army of labor. Precarious workers do work part-time or full-time in temporary jobs, but they cannot really earn enough to live on, and depend partly on friends or family, or on state benefits, to survive. Typically they do not become truly "unemployed", but they don't have a decent job to go to either. The rise of "the precariat" has been attributed to the emergence of global neoliberalism. Although non-employed people who are unable or uninterested in performing legal paid work are not considered among the "unemployed," the concept of "conjunctural unemployment" is used in economics nowadays. Economists often distinguish between short-term "frictional" or "cyclical" unemployment, and longer-term "structural unemployment". Sometimes there is a short-term mismatch between the demand and supply of labour, at other times there is much less total demand for labour than supply for a long-time. If no possibility for getting a job at all in the foreseeable future exists, many younger people decide to migrate or emigrate to a place where they can find work. The latent part consists of that segment of the population not yet fully integrated into capitalist production. In Marx's day, he was referring to people living off of subsistence agriculture who were looking for monetary employment in industry. In modern times, people coming from slums in developing countries where they survive largely by non-monetary means, to developed cities where they work for pay might form the latent. Housewives who move from unpaid to paid employment for a business could also form a part of the latent reserve. They are not unemployed, because they are not necessarily actively looking for a job; but if capital needs extra workers, it can pull them out of the latent reserve. In this sense, the latent forms a reservoir of potential workers for industries. Pauperdom is where one might end up. The homeless is the modern term for paupers. Marx calls them people who cannot adapt to capital's never ending change. For Marx, "the sphere of pauperism", including those still able to work, orphans and pauper children, and the "demoralised and ragged" or "unable to work". The capitalist mode of production refers to the systems of organising production and distribution within capitalist societies. Private money-making in various forms (renting, banking, merchant trade, production for profit, etc.) preceded the development of the capitalist mode of production as such. The capitalist mode of production proper, based on wage-labour and private ownership of the means of production, and on industrial technology, began to grow rapidly in Western Europe from the industrial revolution, later extending to most of the world. Callinicos, Alex. "Wage Labour and State Capitalism - A reply to Peter Binns and Mike Haynes", International Socialism, second series, 12, Spring 1979. Farl, Erich. "The Genealogy of State Capitalism", in: International (London, IMG), Vol. 2, No. 1, 1973. Kotler, Philip Confronting Capitalism: Real Solutions for a Troubled Economic System. AMACOM, 2015. Marcel van der Linden, Western Marxism and the Soviet Union. New York: Brill Publishers, 2007. Mayfield, Anthony. "Economics", in his On the Brink: Resource Depletion, Debt Collapse, and Super-technology ([Vancouver, B.C. ]: On the Brink Publishing, 2013), pp. 50–104. N.B. : The author, as well, frequently discusses aspects of economics and capitalism elsewhere (passim.) in the book. ^ "Capitalism" Oxford Dictionaries. "capitalism. an economic and political system in which a country's trade and industry are controlled by private owners for profit, rather than by the state." Retrieved 4 January 2013. ^ Louis Hyman and Edward E. Baptist (2014). American Capitalism: A Reader. Simon & Schuster. ISBN 9781476784311. ^ "an economic system characterized by private or corporate ownership of capital goods, by investments that are determined by private decision, and by prices, production, and the distribution of goods that are determined mainly by competition in a free market"
^ a b c d Macmillan Dictionary of Modern Economics, 3rd Ed., 1986, p. 54. ^ Stilwell, Frank. “Political Economy: the Contest of Economic Ideas.” First Edition. Oxford University Press. Melbourne, Australia. 2002. ^ a b The crisis of neoliberalism. The Real News. 30 March 2010. Retrieved 3 January 2014. "When we speak of neoliberalism, we speak of contemporary capitalism." - Gérard Duménil, economist at the University of Paris. ^ a b c d James Augustus Henry Murray. "Capital". A New English Dictionary on Historical Principles. Oxford English Press. Vol 2. p. 93. ^ Samuel Taylor Coleridge. The Complete Works of Samuel Taylor ColeridgeTabel . p. 267. 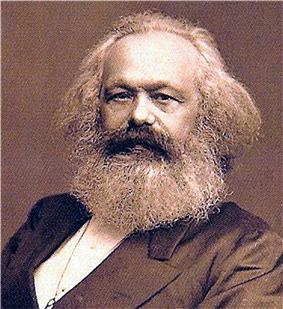 ^ Karl Marx. Chapter 16: "Absolute and Relative Surplus-Value". Das Kapital: "The prolongation of the working-day beyond the point at which the laborer would have produced just an equivalent for the value of his labor-power, and the appropriation of that surplus-labor by capital, this is production of absolute surplus-value. It forms the general groundwork of the capitalist system, and the starting-point for the production of relative surplus-value." ^ Karl Marx. Chapter Twenty-Five: "The General Law of Capitalist Accumulation". Das Kapital. ^ James Fulcher, Capitalism, A Very Short Introduction, “In one respect there can, however, be little doubt that capitalism has gone global and that is in the elimination of alternative systems.” p. 99, Oxford University Press, 2004, ISBN 978-0-19-280218-7. ^ Michael D. Bordo, Barry Eichengreen, Douglas A. Irwin. Is Globalization Today Really Different than Globalization a Hundred Years Ago?. NBER Working Paper No.7195. June 1999. ^ Adam Smith, often mis-attributed in this sense. See the Wealth of Nations section for what Smith actually said. ^ James Fulcher, Capitalism A Very Short Introduction, "the investment of money in order to make a profit, the essential feature of capitalism." p. 14, Oxford, 2004, ISBN 9780192802187. ^ James Fulcher, Capitalism A Very Short Introduction, "...in the wake of the 1970 crisis, the neo-liberal model of capitalism became intellectually and ideologically dominant", p. 58, Oxford, 2004, ISBN 9780192802187. ^ Hazlitt, Henry. "The Function of Profits." Economics in One Lesson. Ludwig Von Mises Institute. Web. 22 Apr. 2013. ^  2008,. "competition," The New Palgrave Dictionary of Economics. Abstract. ^ Francis Green, “The Reserve Army Hypothesis: A Survey of Empirical Applications,” in Paul Dunne (ed. ), Quantitative Marxism, Cambridge: Polity Press, 1991, pp. 123-140. ^ Online Etymological Dictionary, entry "unemployed". ^ “Wages,” Works of Karl Marx 1847; Source: MECW Volume 6, p. 415; Written: at the end of December 1847; First published: in Russian in the journal Sotsialisticheskoye khozyaistvo, 1924 and in German in the journal Unter dem Banner des Marxismus, 1925. ^ Jan Breman, "A bogus concept? ", New Left Review 84, November–December 2013, pp. 130-138. ^ Lorna Fox O'Mahony, David O'Mahony and Robin Hickey (eds), Moral Rhetoric and the Criminalisation of Squatting: Vulnerable Demons? (London: Routledge, 2014), ISBN 0415740614 p. 25. ^ Steinfeld 2009, p. 3: "All labour contracts were/are designed legally to bind a worker in one way or another to fulfil the labour obligations the worker has undertaken. That is one of the principal purposes of labour contracts." ^ Hallgrimsdottir & Benoit 2007; Roediger 2007a. ^ a b Fitzhugh 1857, p. xvi. ^ Marx 1969, Chapter VII. ^ Foner 1995, p. xix. ^ Graeber 2004, p. 71. ^ Graeber 2007, p. 106. ^ Aristotle, Politics 1328b–1329a, H. Rackham trans. ^ George 1981, Chapter 15. ^ Another one, of course, being the capitalists' theft from workers via surplus-value. ^ Nelson 1995, p. 158. This Marxist objection is what motivated Nelson's essay, which argues that labour is not, in fact, a commodity. ^ Marx 1990, p. 1005. Emphasis in the original. ^ Note that unlike most graphs, supply & demand curves are plotted with the independent variable (price) on the vertical axis and the dependent variable (quantity supplied or demanded) on the horizontal axis. ^ a b (citing Hamid S. Hosseini, 1995. "Understanding the Market Mechanism Before Adam Smith: Economic Thought in Medieval Islam," History of Political Economy, Vol. 27, No. 3, 539–61). ^ Fleeming Jenkin, 1870. "The Graphical Representation of the Laws of Supply and Demand, and their Application to Labour," in Alexander Grant, ed., Recess Studies, Edinburgh. ch. VI, pp. 151–85. Edinburgh. Scroll to chapter link. ^ Armstrong, Glyn & Harrison, Capitalism since world war 2. Fontana, 1984. See also Karl Hardach, "Germany 1914-1917", in: Carlo M. Cipolla, The Fontana History of Europe, Part One. Fontana, 1976, p. 224. ^ Ginsborg (1990), chapter 3. ^ Ginsborg (1990), p. 214. ^ Lears, T. J. Jackson (1985) "The Concept of Cultural Hegemony"
^ Habermas, 1988: 37, 75. ^ state capitalism. Merriam-Webster. Retrieved July 7, 2015. ^ V. I. Lenin. To the Russian Colony in North America. Lenin Collected Works, Progress Publishers, 1971, Moscow, Volume 42, pages 425c-427a. ^ Noam Chomsky (1986). The Soviet Union Versus Socialism. Our Generation. Retrieved 9 July 2015. ^ Korstanje, M (2015) Review: Why Nations fail. The origins of Power, Prosperity and Poverty. Journal of International and Global Studies. Volume 6, Issue 2. May 2015. (pp 97-100). ^ Frances Goldin, Debby Smith, Michael Smith (2014). Imagine: Living in a Socialist USA. Harper Perennial. ISBN 0062305573 pp. 49-50. ^ Gourevitch, Alex, "Capitalism and Slavery: An Interview with Greg Grandin", Jacobin (August 2014) Retrieved 4 August 2014. ^ George Monbiot (1 October 2014). It's time to shout stop on this war on the living world. The Guardian. Retrieved 31 October 2014. ^ New York Times, Oct. 23, 2007. ^ O'Leary, Naomi, "Pope Attacks 'Tyranny' of Markets in Manifesto for Papacy". Reuters (November 2013) Retrieved 30 December 2013. ^ Zachary A. Goldfarb and Michelle Boorstein (26 November 2013). Pope Francis denounces ‘trickle-down’ economic theories in critique of inequality. The Washington Post. Retrieved 26 November 2013. ^ Friedman, Milton. Capitalism and Freedom. [Chicago]: University of Chicago, 1962. 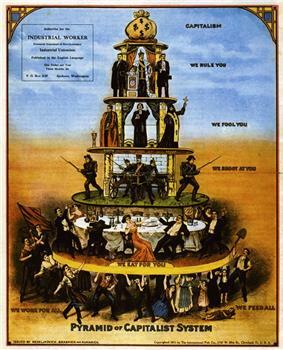 ^ The Rise of Capitalism, 2011. Socialist Standard, no. 1284, August 2011. ^ "Press Room." Michaelmoore.com. Michael Moore. Web. 22 Apr. 2013. ^ Ballasy, Nicholas. "Michael Moore: ‘It's Absolutely a Good Thing’ for Government to Drive Private Health Insurance Out of Business." Michael Moore: 'It's Absolutely a Good Thing' for Government to Drive Private Health Insurance Out of Business. CNS News, 02 Oct. 2009. Web. 22 Apr. 2013. ^ "'Occupy Wall Street' Protests Give Voice to Anger Over Greed, Corporate Culture." PBS.com. PBS, 5 Oct. 2011. Web. 22 Apr. 2013. ^ Sowell, Thomas. "Profit Motive Underrated By Intelligentsia." Sun-sentinel.com. Sun-Sentinel, 26 Dec. 2003. Web. 22 Apr. 2013. ^ Pantin, Travis. "Milton Friedman Answers Phil Donahue's Charges." Nysun.com. The New York Sun, 12 Nov. 2007. Web. 22 Apr. 2013. ^ Ayn Rand,"Nature of Government", Virtue of selfishness. Between 1000 and 1820, the world economy grew sixfold, a faster rate than the population growth, so each individual enjoyed, on the average, a 50% increase in wealth. Between 1820 and 1998, world economy grew 50-fold, a much faster rate than the population growth, so each individual enjoyed, on the average, a 9-fold increase in wealth. In most capitalist economic regions such as Europe, the United States, Canada, Australia and New Zealand, the economy grew 19-fold per person, even though these countries already had a higher starting level, and in Japan, which was poor in 1820, the increase per person was 31-fold. In the third world there was an increase, but only 5-fold per person. The novelist and philosopher Ayn Rand made positive moral defences of laissez-faire capitalism, most notably in her 1957 novel Atlas Shrugged, and in her 1966 collection of essays Capitalism: The Unknown Ideal. She argued that capitalism should be supported on moral grounds, not just on the basis of practical benefits. She has significantly influenced conservative and libertarian supporters of capitalism, especially in the American Tea Party movement. Ayn Rand defines capitalism as "a social system based on the recognition of individual rights, including property rights, in which all property is privately owned." According to Rand, the role of government in a capitalist state has three broad categories of proper functions: First, the police "to protect men from criminals." Second, the armed services "to protect men from foreign invaders." Third, the law courts "to settle disputes among men according to objective laws." Austrian School economists have argued that capitalism can organise itself into a complex system without an external guidance or central planning mechanism. Friedrich Hayek considered the phenomenon of incentive to use their knowledge and resources to satisfy those wants. Thus the activities of millions of people, each seeking his own interest, are coordinated. "What a cleaned-up version of Sraffa (1926) establishes is how nearly empty are all of Marshall's partial equilibrium boxes. To a logical purist of Wittgenstein and Sraffa class, the Marshallian partial equilibrium box of constant cost is even more empty than the box of increasing cost.". Vladimir Lenin, in Imperialism, the Highest Stage of Capitalism (1916), further developed Marxist theory and argued that capitalism necessarily led to monopoly capitalism and the export of capital—which he also called "imperialism"—to find new markets and resources, representing the last and highest stage of capitalism. Some 20th-century Marxian economists consider capitalism to be a social formation where capitalist class processes dominate, but are not exclusive. In conjunction with his criticism of capitalism was Marx's belief that the working class, due to its relationship to the means of production and numerical superiority under capitalism, would be the driving force behind the socialist revolution. This argument is intertwined with Marx's version of the labor theory of value arguing that labor is the source of all value, and thus of profit. This difference in values, he argues, constitutes surplus value, which the capitalists extract and accumulate. In his book Capital, Marx argues that the capitalist mode of production is distinguished by how the owners of capital extract this surplus from workers—all prior class societies had extracted surplus labor, but capitalism was new in doing so via the sale-value of produced commodities. He argues that a core requirement of a capitalist society is that a large portion of the population must not possess sources of self-sustenance that would allow them to be independent, and are instead forced to sell their labor for a wage. The capitalist stage of development or "socialist or communist transformation of human society as the end of the series of first aristocratic, then capitalist, and finally working class rule was reached. We should have no talk of profit when it comes to helping people who are sick. The profit motive should be nowhere involved in this. And you know what? It’s not fair to the insurance companies either because they have a fiduciary responsibility to make as much money as they can for their shareholders. Well, the way they make more money is to deny claims or to kick people off the rolls or to not even let people on the rolls because they have a pre-existing condition. You know, all of that is wrong. Many aspects of capitalism have come under attack from the anti-globalization movement, which is primarily opposed to corporate capitalism. Environmentalists have argued that capitalism requires continual economic growth, and that it will inevitably deplete the finite natural resources of Earth. 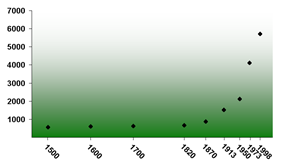 Such critics argue that while this neoliberalism or contemporary capitalism has indeed increased global trade, it has also destroyed traditional ways of life, exacerbated inequality and increased global poverty - with more living today in abject poverty than before neoliberalism, and that environmental indicators indicate massive environmental degradation since the late 1970s. According to Immanuel Wallerstein, institutional racism has been "one of the most significant pillars" of the capitalist system and serves as "the ideological justification for the hierarchization of the work-force and its highly unequal distributions of reward." 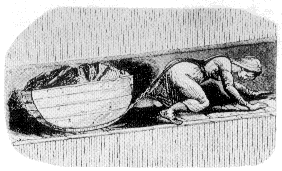 Some labor historians and scholars have argued that unfree labor — by slaves, indentured servants, prisoners or other coerced persons — is compatible with capitalist relations. Tom Brass argued that unfree labor is acceptable to capital. Historian Greg Grandin argues that capitalism has its origins in slavery: "when historians talk about the Atlantic market revolution, they are talking about capitalism. And when they are talking about capitalism, they are talking about slavery." Historian Edward E. Baptist claims that slavery was an integral component in the violent development of American and global capitalism. Critics of capitalism associate the economic system with social inequality; unfair distribution of wealth and power; materialism; repression of workers and trade unionists; social alienation; economic inequality; unemployment; and economic instability. Many socialists consider capitalism to be irrational, in that production and the direction of the economy are unplanned, creating many inconsistencies and internal contradictions. Capitalism and individual property rights have been associated with the tragedy of the anticommons. Marxian economist Richard D. Wolff postulates that capitalist economies prioritize profits and capital accumulation over the social needs of communities, and capitalist enterprises rarely include the workers in the basic decisions of the enterprise. Eastern Bloc. According to Aldo Musacchio, a professor at Harvard Business School, state capitalism is a system in which governments, whether democratic or autocratic, exercise a widespread influence on the economy either through direct ownership or various subsidies. Musacchio notes a number of differences between today's state capitalism and its predecessors. In his opinion, gone are the days when governments appointed bureaucrats to run companies: the world's largest state-owned enterprises are now traded on the public markets and kept in good health by large institutional investors. Contemporary state capitalism is associated with the East Asian model of capitalism, dirigisme and the economy of Norway. Alternatively, Merriam-Webster defines state capitalism as "an economic system in which private capitalism is modified by a varying degree of government ownership and control." 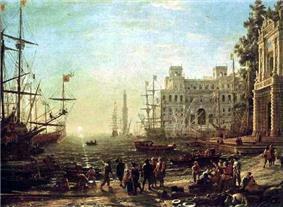 Mercantilism is a nationalist form of early capitalism that came into existence approximately in the late 16th century. It is characterized by the intertwining of national business interests to state-interest and imperialism, and consequently, the state apparatus is utilized to advance national business interests abroad. An example of this is colonists living in America who were only allowed to trade with and purchase goods from their respective mother countries (e. g. Britain, Portugal, France). Mercantilism was driven by the belief that the wealth of a nation is increased through a positive balance of trade with other nations; it corresponds to the phase of capitalist development sometimes called the Primitive accumulation of capital. 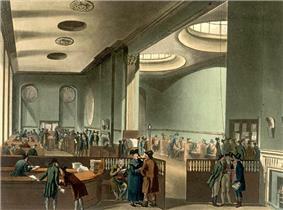 The subscription room at Lloyd's of London in the early 19th century. C. H. Sisson saw the underlying theme of The Cantos of Ezra Pound as the depredations of finance capital: “the monstrous aberration of a world in which reality is distorted, down to a detail never so comprehensively implicated before, by the pull of a fictitious money”. Financial capitalism is thus a form of capitalism where the intermediation of saving to investment becomes a dominant function in the economy, with wider implications for the political process and social evolution: since the late 20th century it has become the predominant force in the global economy, whether in neoliberal or other form. Essentially, finance capitalism is a noticeable aspect of modern capitalism, characterised by a predominance of the pursuit of profit from the purchase and sale of, or investment in, currencies and financial products such as bonds, stocks, futures and other derivatives. It also includes the lending of money at interest; and is seen by Marxist analysts (from whom the term finance capitalism originally derived) as being exploitative by supplying income to non-labourers. Academic defenders of the economic concept of capitalism, such as Eugen von Böhm-Bawerk, see such profits as part of the roundabout process by which it grows and hedges against inevitable risks. Finance capitalism is the subordination of processes of production to the accumulation of money profits in a financial system. The meaning of the term financial capitalism goes beyond the importance of financial intermediation in the modern capitalist economy. It also encompasses the significant influence of the wealth holders on the political process and the aims of economic policy. In Italy, the victorious Allies did three things in 1945: they imposed their absolute military authority; they quickly disarmed the Italian partisans from a very large stock of weapons; and they agreed to a state guarantee of wage payments, as well as a veto on all sackings of workers from their jobs. Although the Italian Communist Party grew very large immediately after the war ended—it achieved a membership of 1.7 million people in a population of 45 million—it was outmaneouvred through a complicated political battle by the Christian Democrats, after three years. In the 1950s, an economic boom began in Italy, at first fuelled by internal demand, and then also by exports. The first big strike-wave in the Ruhr occurred in early 1947—it was about food rations and housing, but soon there were demands for nationalisation. The U.S. appointed military Governor (Newman) however stated at the time that he had the power to break strikes by withholding food rations. The clear message was: "no work, no eat". As the military controls in Western Germany were nearly all relinquished and the Germans were allowed to rebuild their own economy with Marshal Plan aid things rapidly improved. By 1951, German industrial production had overtaken the prewar level. 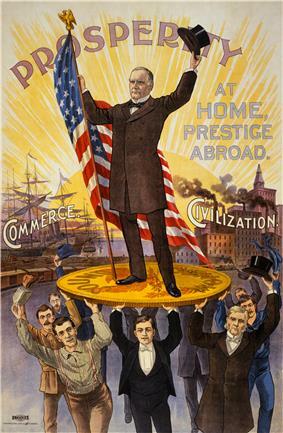 The Marshall Aid funds were important, but, after the currency reform (which permitted German capitalists to revalue their assets) and the establishment of a new political system, much more important was the commitment of the USA to rebuilding German capitalism and establishing a free market economy and government, rather than keeping Germany in a weak position. Initially, average real wages remained low, lower even than in 1938, until the early 1950s, while profitability was unusually high. So the total investment fund, aided by credits, was also high, resulting in a high rate of capital accumulation which was nearly all reinvested in new construction or new tools. This was called the German economic miracle or "Wirtschaftswunder". Initially, in May 1945, newly installed U.S. President Harry S. Truman's directive had been that no steps would be taken towards economic rehabilitation of Germany. In fact, the initial industry plan of 1946 prohibited production in excess of half of the 1938 level; the iron and steel industry was allowed to produce only less than a third of pre-war output. These plans were rapidly revised and better plans were instituted. In 1946, over 10% of Germany's physical capital stock (plant & equipment) was also dismantled and confiscated, most of it going to the USSR. By 1947, industrial production in Germany was at 1/3 of the 1938 level, and industrial investment at about 1/2 the 1938 level. Germany's total war damage was estimated at about 17.5% of the pre-war total capital stock by value, i.e., about 1/6. In the Berlin area alone, there were 8 million refugees lacking basic necessities. In 1945, less than 10% of the railways were still operating. 2395 rail bridges were destroyed and a total of 7500 bridges, 10,000 locomotives and more than 100,000 goods wagons were destroyed. Less than 40% of the remaining locomotives were operational. War typically causes the diversion, destruction and creation of capital assets as capital assets are both destroyed or consumed and diverted to types of production needed to fight the war. Many assets are wasted and in some few cases created specifically to fight a war. War driven demands may be a powerful stimulus for the accumulation of capital and production capability in limited areas and market expansion outside the immediate theatre of war. Often this has induced laws against perceived and real war profiteering. The total hours worked in the United States rose by 34 percent during World War II, even although the military draft reduced the civilian labor force by 11 percent. Demand and supply have also been generalised to explain macroeconomic variables in a market economy, including the quantity of total output and the general price level. The Aggregate Demand-Aggregate Supply model may be the most direct application of supply and demand to macroeconomics, but other macroeconomic models also use supply and demand. Compared to microeconomic uses of demand and supply, different (and more controversial) theoretical considerations apply to such macroeconomic counterparts as aggregate demand and aggregate supply. Demand and supply are also used in macroeconomic theory to relate money supply and money demand to interest rates, and to relate labor supply and labor demand to wage rates. If demand increases (demand curve shifts to the right) and supply remains unchanged, a shortage occurs, leading to a higher equilibrium price. If demand decreases (demand curve shifts to the left) and supply remains unchanged, a surplus occurs, leading to a lower equilibrium price. If demand remains unchanged and supply increases (supply curve shifts to the right), a surplus occurs, leading to a lower equilibrium price. If demand remains unchanged and supply decreases (supply curve shifts to the left), a shortage occurs, leading to a higher equilibrium price. The bourgeois claim there is no economic law according to which capital is necessarily re-invested in the expansion of production, that such depends on anticipated profitability, market expectations and perceptions of investment risk. Such statements only explain the subjective experiences of investors and ignore the objective realities which would influence such opinions. As Marx states in Vol.2, simple reproduction only exists if the variable and surplus capital realised by Dept. 1—producers of means of production—exactly equals that of the constant capital of Dept. 2, producers of articles of consumption (pg 524). Such equilibrium rests on various assumptions, such as a constant labor supply (no population growth). Accumulation does not imply a necessary change in total magnitude of value produced but can simply refer to a change in the composition of an industry (pg. 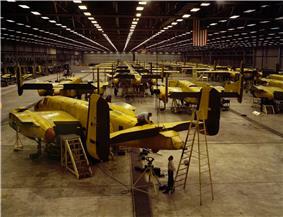 514). The continuation and progress of capital accumulation depends on the removal of obstacles to the expansion of trade, and this has historically often been a violent process. As markets expand, more and more new opportunities develop for accumulating capital, because more and more types of goods and services can be traded in. But capital accumulation may also confront resistance, when people refuse to sell, or refuse to buy (for example a strike by investors or workers, or consumer resistance). What spurs accumulation is competition; in business, if you don't go forward, you go backward, and unless the law prevents it, the strong will exploit the weak. The basis of capital accumulation is essentially capitalising on the labour effort of others. When the "economic cake" expands, this may be obscured because all can gain from trade. But when the "economic cake" shrinks, then capital accumulation can only occur by taking income or assets from other people, other social classes, or other nations. The point is that to exist, capital must always grow, and to ensure that it will grow, people are prepared to do almost anything. In Karl Marx's economic theory, capital accumulation refers to the operation whereby profits are reinvested increasing the total quantity of capital. Capital is viewed by Marx as expanding value, that is, in other terms, as a sum of capital, usually expressed in money, that is transformed through human labor into a larger value, extracted as profits and expressed as money. Here, capital is defined essentially as economic or commercial asset value in search of additional value or surplus-value. This requires property relations which enable objects of value to be appropriated and owned, and trading rights to be established. Capital accumulation has a double origin, namely in trade and in expropriation, both of a legal or illegal kind. The reason is that a stock of capital can be increased through a process of exchange or "trading up" but also through directly taking an asset or resource from someone else, without compensation. David Harvey calls this accumulation by dispossession. In economics, accounting and Marxian economics, capital accumulation is often equated with investment of profit income or savings, especially in real capital goods. The concentration and centralisation of capital are two of the results of such accumulation. In modern macroeconomics and econometrics the term capital formation is often used in preference to "accumulation", though the United Nations Conference on Trade and Development (UNCTAD) refers nowadays to "accumulation". The term is occasionally used in national accounts. From the end of the 19th century onwards, Capitalist societies began to experience a transition from free competition to monopolistic takes on the capitalist economic system, characterised by the advent of large firms taking control of specific industries. A prime example in the United States at the time was Standard Oil. The doctrine of free competition is essential to the functioning of a capitalist economy, and as such, anti-competitive behaviour in the market poses a crucial weakness in capitalist economics. Issues such as monopolistic behaviour on the part of corporations, and aspects of intellectual property laws pose problems to capitalist economies. Market failure occurs when an externality is present and a market will either under-produce a product with a positive externalisation or overproduce a product that generates a negative externalisation. Air pollution, for instance, is a negative externalisation that cannot be incorporated into markets as the world's air is not owned and then sold for use to polluters. So, too much pollution could be emitted and people not involved in the production pay the cost of the pollution instead of the firm that initially emitted the air pollution. Critics of market failure theory, like Ronald Coase, Harold Demsetz, and James M. Buchanan argue that government programs and policies also fall short of absolute perfection. Market failures are often small, and government failures are sometimes large. 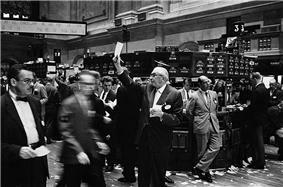 It is therefore the case that imperfect markets are often better than imperfect governmental alternatives. While all nations currently have some kind of market regulations, the desirable degree of regulation is disputed. For Marxists, labour-as-commodity, which is how they regard wage labour, provides a fundamental point of attack against capitalism. 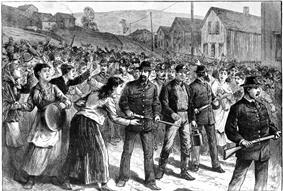 "It can be persuasively argued," noted one concerned philosopher, "that the conception of the worker's labour as a commodity confirms Marx's stigmatization of the wage system of private capitalism as 'wage-slavery;' that is, as an instrument of the capitalist's for reducing the worker's condition to that of a slave, if not below it." That this objection is fundamental follows immediately from Marx's conclusion that wage labour is the very foundation of capitalism: "Without a class dependent on wages, the moment individuals confront each other as free persons, there can be no production of surplus value; without the production of surplus-value there can be no capitalist production, and hence no capital and no capitalist!" A point of criticism is that after people have been compelled by economic necessity to no feasible alternative than that of wage labour, Exploitation occurs; thus the claim that wage labour is "voluntary" on the part of the labourer is considered a red herring as the relationship is only entered into due to systemic coercion brought about by the inequality of bargaining power between labour and capital as classes. Under the system of wage labour, the workers sell their labour power under a formal or informal employment contract to a member of the capitalist class. These transactions usually occur in a labour market where wages are market determined. In exchange for the wages paid, the work product generally becomes the undifferentiated property of the employer, except for special cases such as the vesting of intellectual property patents in the United States where patent rights are usually vested in the employee personally responsible for the invention. A wage labourer is a person whose primary means of income is from the selling of his or her labour in this way. Wage labour refers to the class-structure of capitalism, whereby workers receive either a wage or a salary, and owners receive the profits generated by the factors of production employed in the production of economic value. Individuals who possess and supply financial capital to productive ventures become owners, either jointly (as shareholders) or individually. In Marxian economics these owners of the means of production and suppliers of capital are generally called capitalists. The description of the role of the capitalist has shifted, first referring to a useless intermediary between producers to an employer of producers, and eventually came to refer to owners of the means of production. Labor includes all physical and mental human resources, including entrepreneurial capacity and management skills, which are needed to produce products and services. Production is the act of making goods or services by applying labor power. The means of production (or capital goods) and the means of consumption (or consumer goods) are mainly produced for market sale; output is produced with the intention of sale in an open market; only through sale of output, can the owner of capital claim part of the surplus-product of human labour, and make profits. Equally, the inputs of production are supplied through the market, as commodities. The prices of both inputs and outputs are mainly governed by the market laws of supply and demand (and ultimately by the law of value). In short, a capitalist must use money to fuel both the means of production and labor in order to make commodities. These commodities are then sold to the market for a profit. The profit once again becomes part of a larger amount of capital which the capitalist reinvests to make more commodities and ultimately more and more capital. Private ownership of the means of production ("private enterprise") as effective private control and/or legally enforced ownership, with the consequence that investment and management decisions are made by private owners of capital who act autonomously from each other and, because of business secrecy and the constraints of competition, do not coordinate their activities according to collective, conscious planning. Enterprises are able to set their own output prices within the framework of the forces of supply and demand manifested through the market, and the development of production technology is guided by profitability criteria. The overall aim of capitalist production, under competitive pressure, is (a) to maximise net profit income (or realise a net superprofit) as much as possible, through cutting production costs, increasing sales, and monopolisation of markets and supply, (b) capital accumulation, to acquire productive and non-productive assets, and (c) to privatise both the supply of goods and services and their consumption. The larger portion of the surplus product of labor must usually be reinvested in production, since output growth and accumulation of capital mutually depend on each other. Out of preceding characteristics of the capitalist mode of production, the basic class structure of this mode of production society emerges: a class of owners and managers of private capital assets in industries and on the land, a class of wage and salary earners, a permanent reserve army of labour consisting of unemployed people, and various intermediate classes such as the self-employed (small business and farmers) and the “new middle classes” (educated or skilled professionals on higher salaries). The finance of the capitalist state is heavily dependent on levying taxes from the population and on credit; that is, the capitalist state normally lacks any autonomous economic basis (such as state-owned industries or landholdings) that would guarantee sufficient income to sustain state activities. The capitalist state defines a legal framework for commerce, civil society and politics, which specifies public and private rights and duties, as well as legitimate property relations. The capitalist mode of production may exist within societies with differing political systems (e.g. Under the capitalist mode of production:  A "